Getting a tattoo is not something you do on a whim, because this is something that will stay with you for a lifetime. But there are several people who get a tattoo and then eventually start to think that it might not be for them. In such situations, the only option left for them is to get the tattoo removed, but even getting the tattoo removed can prove to be quite the task. What exactly is laser tattoo removal? In the simplest of terms, laser tattoo removal is the process of removing a tattoo using laser. Before you actually rush to get that tattoo removed, you do need to understand the ins and outs of permanent tattoo removal, because neither is the process easy and nor is it completely quick, because chances are that you might need multiple sessions to get the tattoo completely removed or unnoticeable. The basic idea behind the process is that laser is applied to the tattoos and the high intensity light of the laser breaks down the pigments of the colours that have been used for the tattoo. However, for certain colours, specialised laser is required, making the entire process a little more expensive or might not give great results. Black is known to absorb all other colours, but what is interesting to note about this colour can also absorb all laser wavelengths. So, when you are going for laser tattoo removal, black is the easiest colour to remove, which is why, if you have a completely black tattoo, it will be the easiest to remove. However, when there are other colours in the tattoo, certain specific lasers will be required. The laser tattoo removal procedure is also dependent on several other factors such as the actual size of the tattoo, where the tattoo is placed on the body and how long ago it was made. While your age might not make much a difference, your skin colour will most certainly influence the procedure, because lighter skin reacts differently to laser than darker skin. What kind of laser or energy is to be used on your skin, will be something that the technician will decide, based on your skin type and the colours used in the tattoo. In general, tattoo removal can take anywhere between three to twelve sessions, which are spaced over weeks. While the removal of a small tattoo can cost around three to four thousand Indian rupees, a larger tattoo could cost anywhere between ten to twenty-five thousand rupees. The cost of the procedure will also be dependent on where you are getting the procedure done, but getting the treatment done from a reputed laser tattoo removal clinic, will have more benefits. What the actual size of the tattoo is – the bigger the tattoo, the more expensive it will get. Where the tattoo is located – if the tattoo is placed on a delicate part of the body, the time and effort that needs to be taken will be greater, making the entire process a lot more expensive. The age of the tattoo will also matter, because when the tattoo is older, the pigments have already set, making it a lot harder to remove. How many colours have been used in the tattoo – while a plain black tattoo will be easier to remove, one with several colours will require specialised laser to target those specific colour pigments. What type of ink has been used will also affect the final cost of the procedure, because certain types of inks require stronger laser. The tattoo removal cost at AK Clinics in Delhi & Ludhiana starts as low as INR 1500 per session for small tattoo. What do you need before, during and after a laser tattoo removal procedure? While there is not much that you need to do before a tattoo removal procedure, there are several things that you will have to do post the procedure. Before the procedure, you might be ask to limit exposure to sunlight and chemical products. The area of the tattoo will be cleaned properly, before the procedure. During the procedure, you will be asked to wear protective eye wear, because the laser could harm your eyes. In addition, a topical anaesthetic will be applied, because even though the procedure is not painful, it can be quite uncomfortable. For the 24 hours after the laser tattoo removal treatment, you may be asked to apply cold compresses on the treated area to reduce the discomfort. You will be asked to apply medicated ointments for the next few days. The treated area needs to be kept clean and dry, because that will help with the faster healing. There can be some blistering, itching or scabbing, but these all will disappear in a matter of time. If you are on regular medication, you might be asked to avoid some for a few days and if you are in pain, you need to confirm, which painkillers are suitable. You need to provide immense sun protection to the treated area and you need to avoid shaving and tanning lotions till the time the area has completely healed. And finally, you need to drink lots of water. You can remove either the entire tattoo or specific parts of the tattoo, allowing for a change in the design, should you want one. This is actually a popular option with people who get names tattooed on their bodies and then want only those removed. Because laser is being used, there is no scarring, which is the not the case with other methods, which using a sanding like technique. The light of the laser targets only the pigments of the colour, leaving the rest of the healthy skin cells alone. As there are no nicks and cuts involved in this process, the recovery process is also minimal. 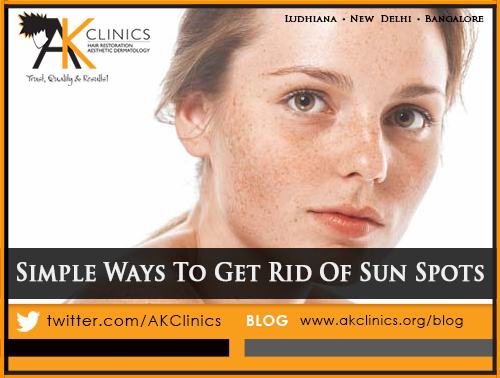 All you have to do is keep your skin protected from direct sunlight. This is most definitely the safest way to remove tattoos of all colours, because with specific lasers for particular colours, you can remove any type of tattoo. There is little to no chance of infection and all you might have to worry about is a little redness or swelling, which will subside on its own in a few days’ time. How Much Does The Laser Removal Procedure Cost? There are several factors that will determine the cost, and the city where you are getting the procedure done in, will be just one of them. Other factors include the size of the tattoo, the colours that have been used, how old the tattoo is and your skin type. But the general notion is that it takes almost ten times to remove a tattoo, then to put it. While there are people who believe that tattoo removal is an excruciatingly painful process, the fact of the matter is that it is not. Even though there is pain, it is actually quite bearable for most people, and the fact that you will be administered a topical anesthetic, it should not be too painful. Several places will also offer you ice packs, which will help with the pain; but if you feel that the pain is too much for you, you can always ask for an injection. This is very simple – if there was scarring when you had gotten your original tattoo, the scarring will remain, even after the removal process. When you are getting your tattoo removed from a reputed clinic and experienced technician, there is actually not much to worry about and chances are that there will be no scarring. The laser treatment will remove all the pigment in the colours, but they if there are any scars under the colours, they will remain. However, if you do not take proper care, the chances of infection and subsequently other problems, can increase. Is A Revision Or Partial Removal Possible? There are several cases, where the person does not want the entire tattoo removed – all they want is one part removed or they want something changed. If that is something you too are looking for, then it is totally possible. An experienced practitioner will be able to remove those parts of the tattoo that you specify. But before you actually commit to a clinic, you should ask in depth whether they know how to remove a tattoo properly. Normally, it takes multiple sessions to remove a tattoo, but the size of the tattoo and the number of colours used will help determine the same. There also has to be a time gap between each session, because the body and the skin needs time to heal. As is the case with any such procedure, there are bound to be some side effects, but with laser tattoo removal, the side effects are nothing major. Most people will experience some itching and swelling, but these will fade away with an ice pack. For some people, there could be scabs and blisters, but it is imperative that you not touch them. In the rarest of cases, there could be hyper or hypo-pigmentation. Why Should You Choose To Get Your Laser Tattoo Removal Done At AK Clinics?